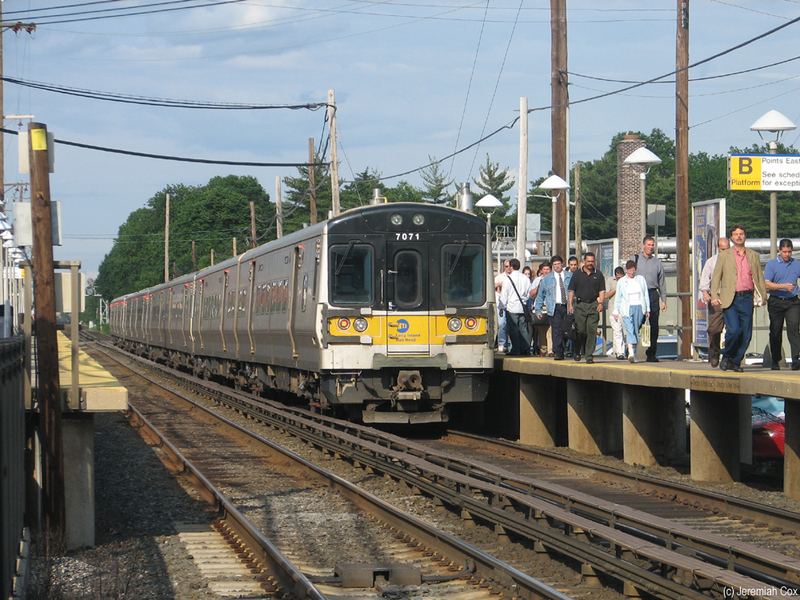 New Hyde Park is located along the Main Line, it like the other Main Line Stations is listed on the Port Jefferson Branch Timetable though Ronkonkoma Branch trains at times serve the station. 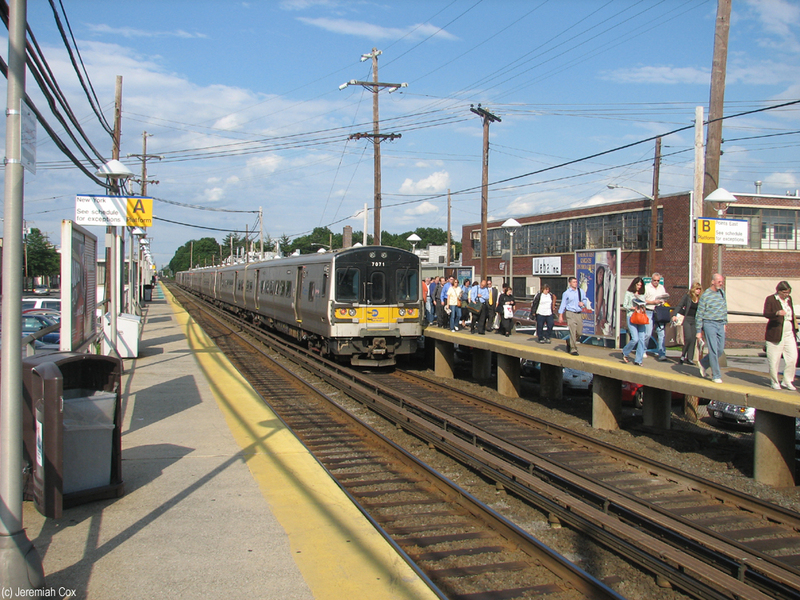 The station is the first Main Line station at street level after the line leaves the viaduct as the Hempstead Branch curves south onto its own line. 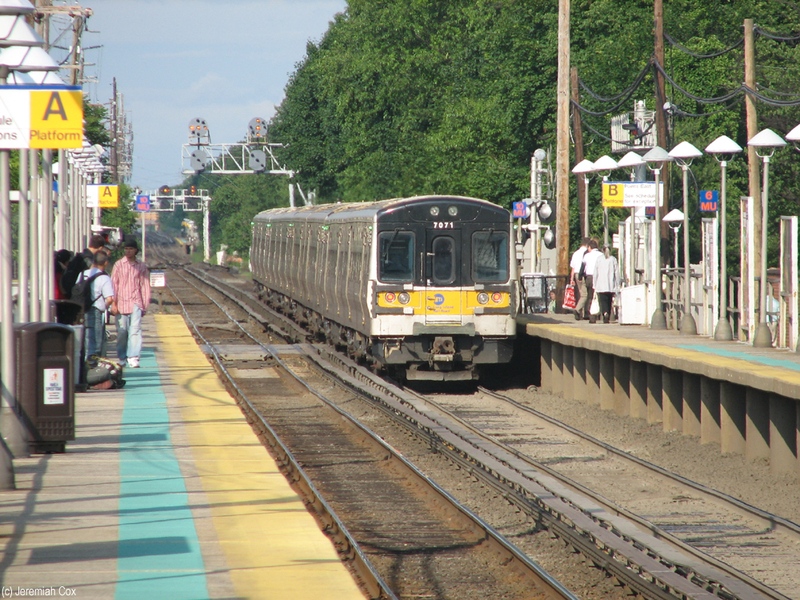 The Hempstead Branch station Stewart Manor is only six blocks south. 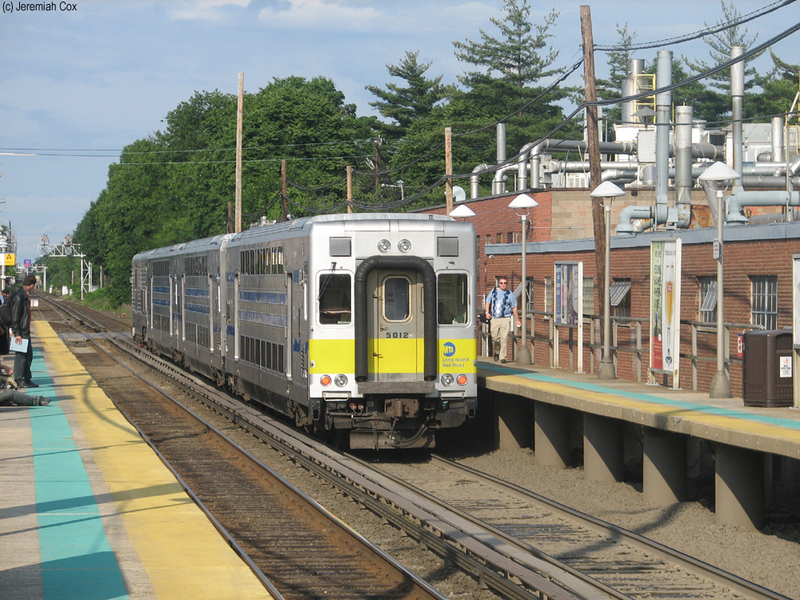 The stop has two tracks for the two track line with the two long side platforms (can platform 10 cars) just fitting between grade crossings for New Hyde Park Road and S. 12 Street. 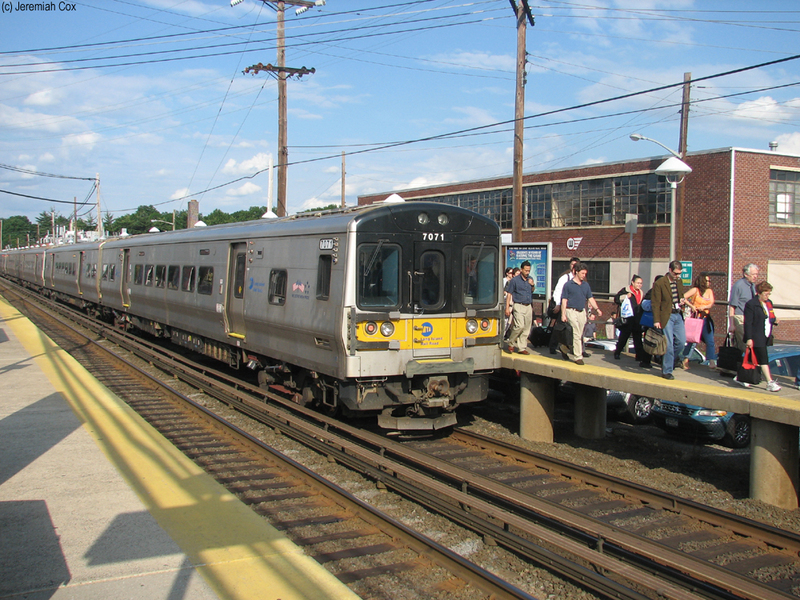 Roads also run alongside each of the platforms, 2nd Avenue along the New York-bound, 3rd Avenue along the Points East platform. 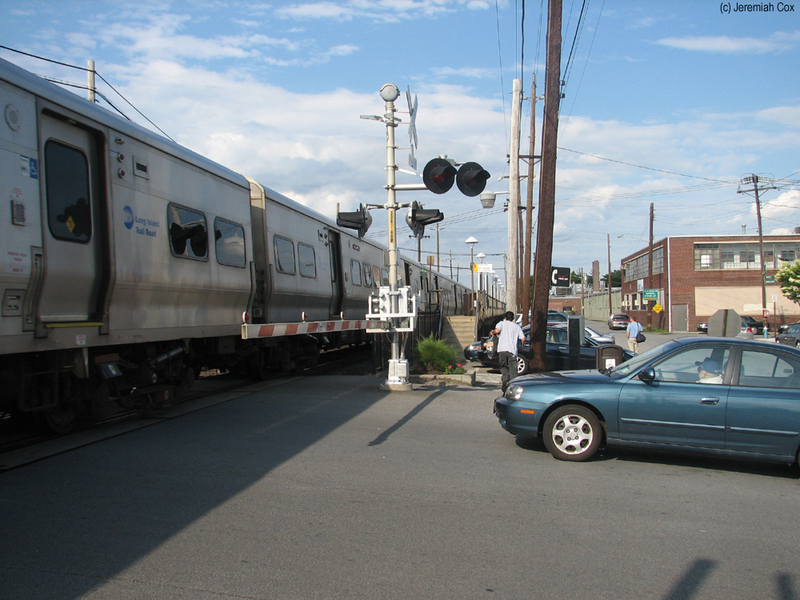 There is some parking between the streets and the platforms. 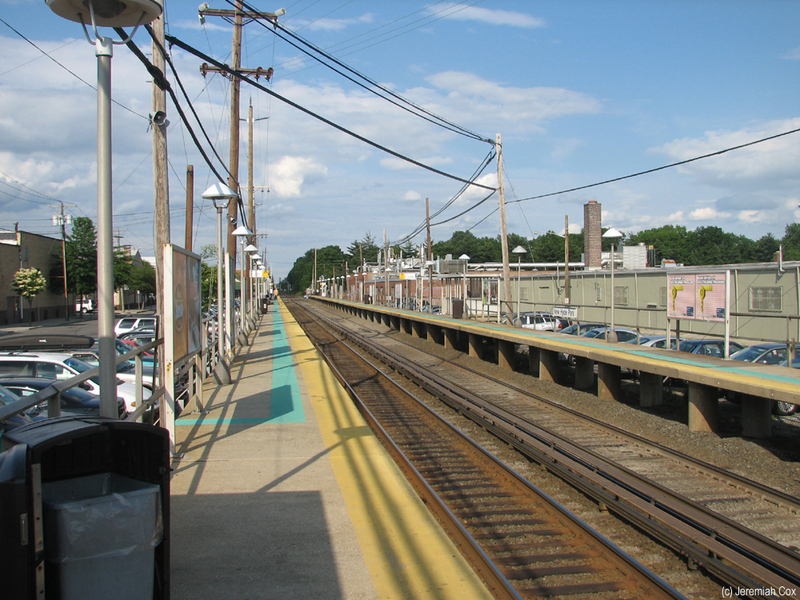 The entire station is in a bit of a decrepit industrial area. In the middle of the New York platform is the station house that has a decent sized waiting area with decent long hours 4 AM-7PM every day. 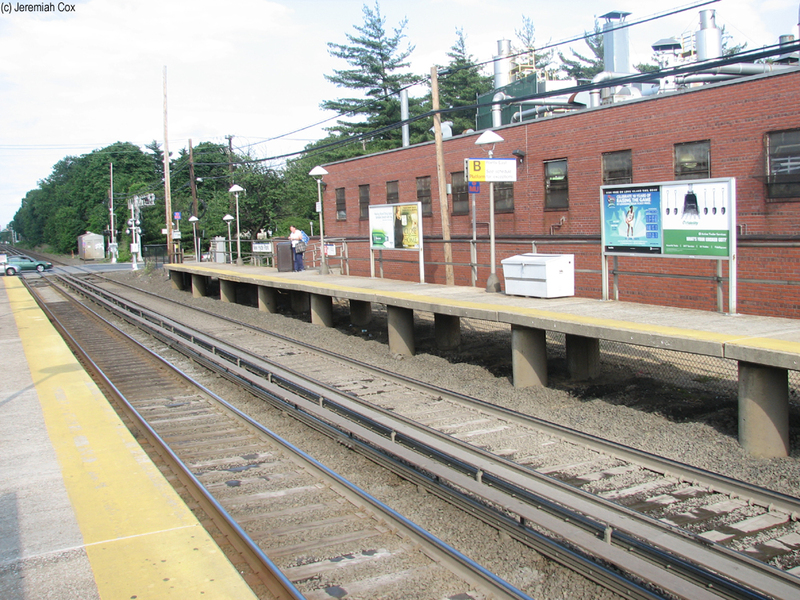 It's a small white building with decent sized awnings and green gabled roofs. The windows still have shutters on them. The wooden shutters of the now permanently closed ticket window are also still intact. 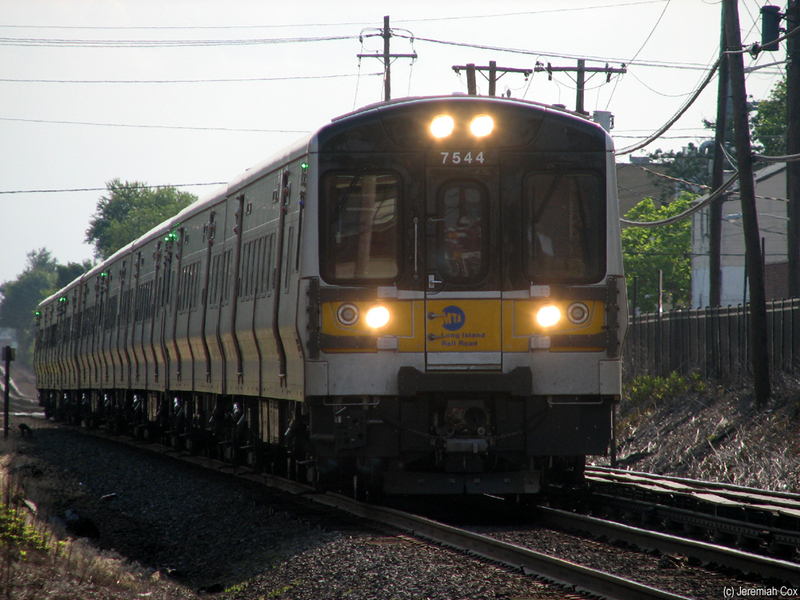 Eastbound M7 #7134 leads a Eastbound express train during the PM Peak through New Hyde Park. 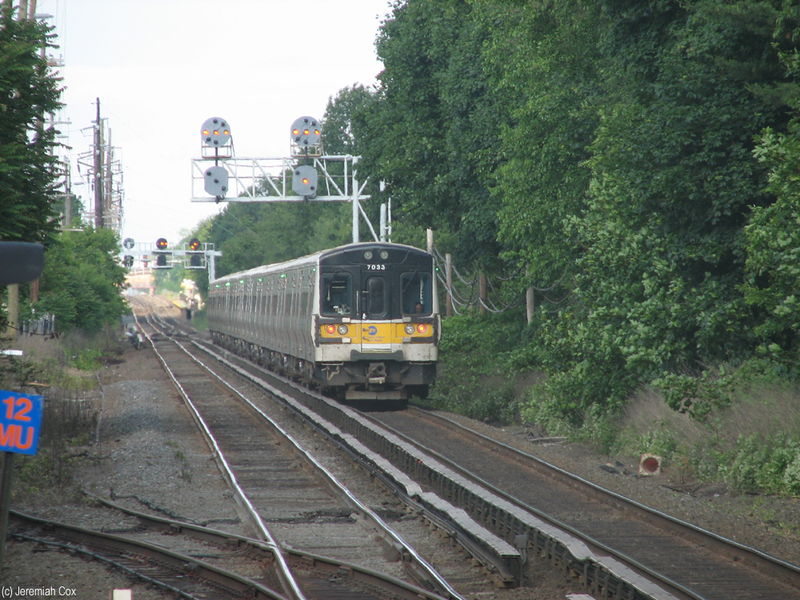 M7 #7033 and a Eastbound train fade into the distance from New Hyde Park. 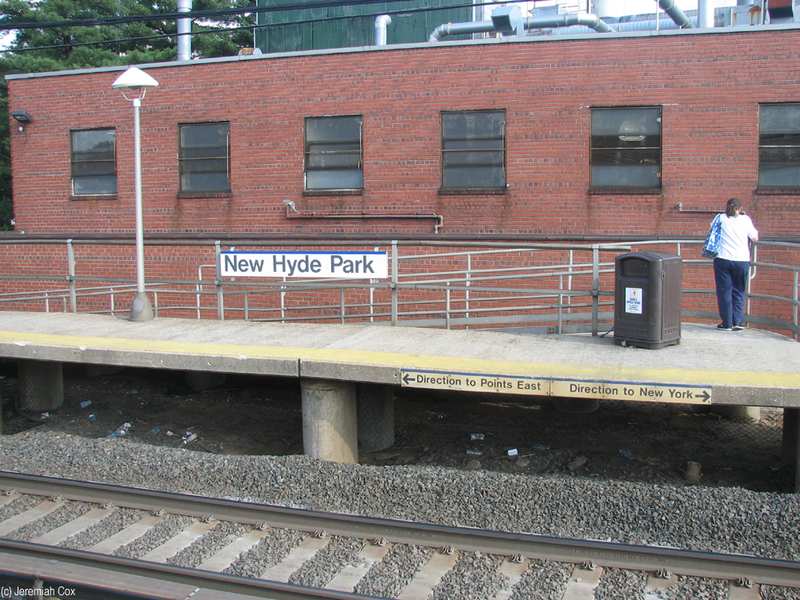 A platform sign at New Hyde Park. 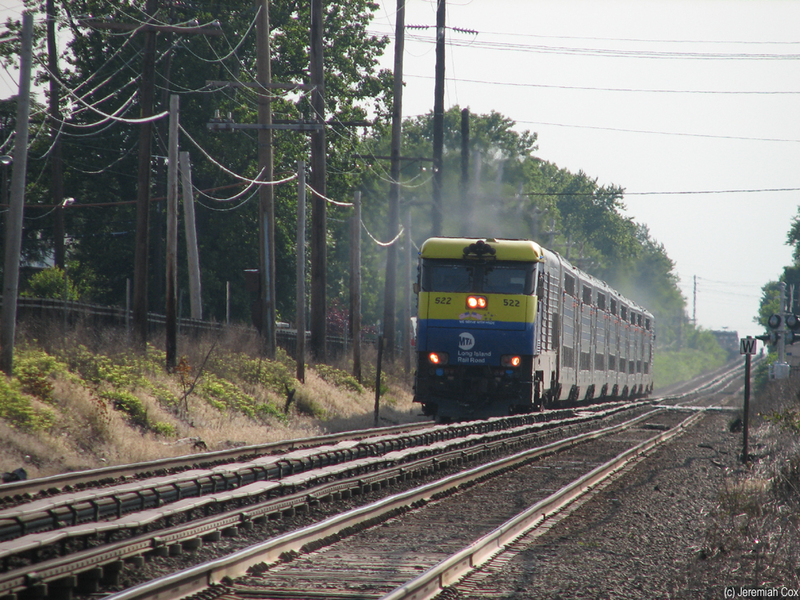 A C3 diesel train approaches New Hyde Park to bypass it. 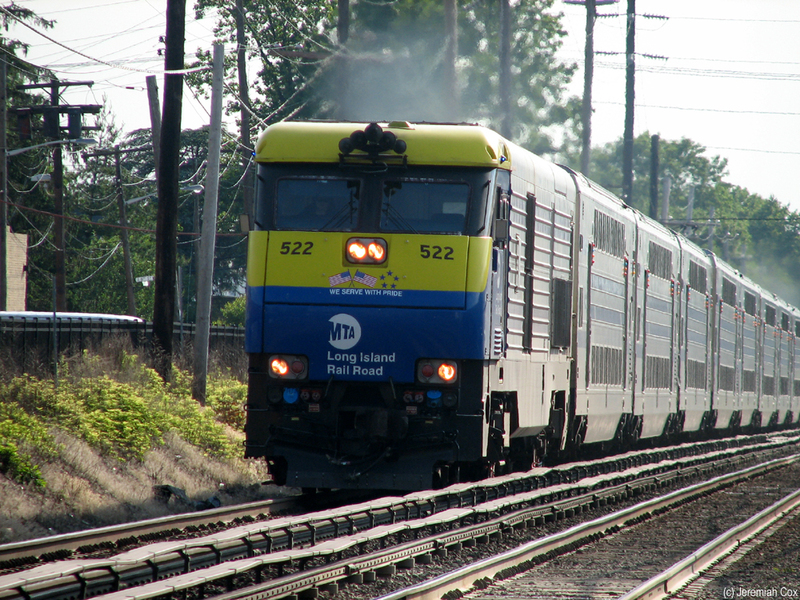 DM30AC #522 leads a dual mode Port Jefferson Line train that has originated at Penn Station through New Hyde Park. 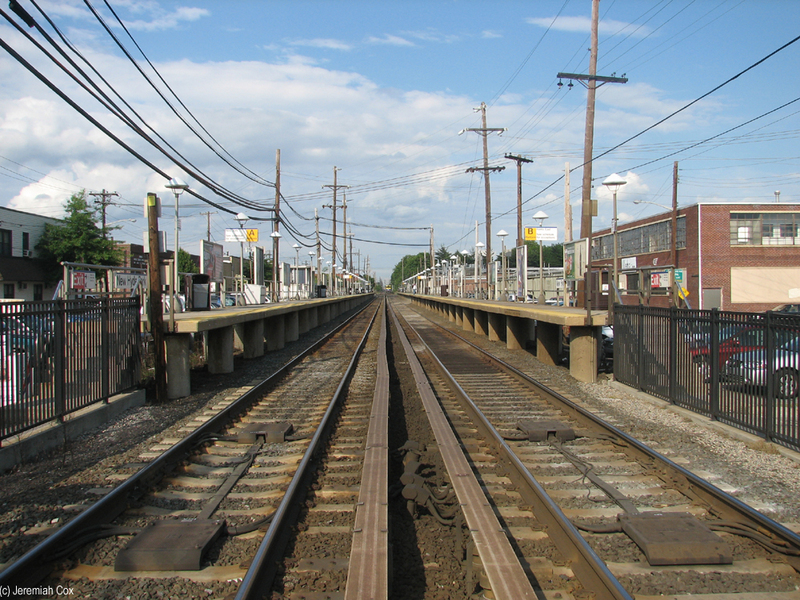 Looking down the tracks and through the New Hyde Park Station. 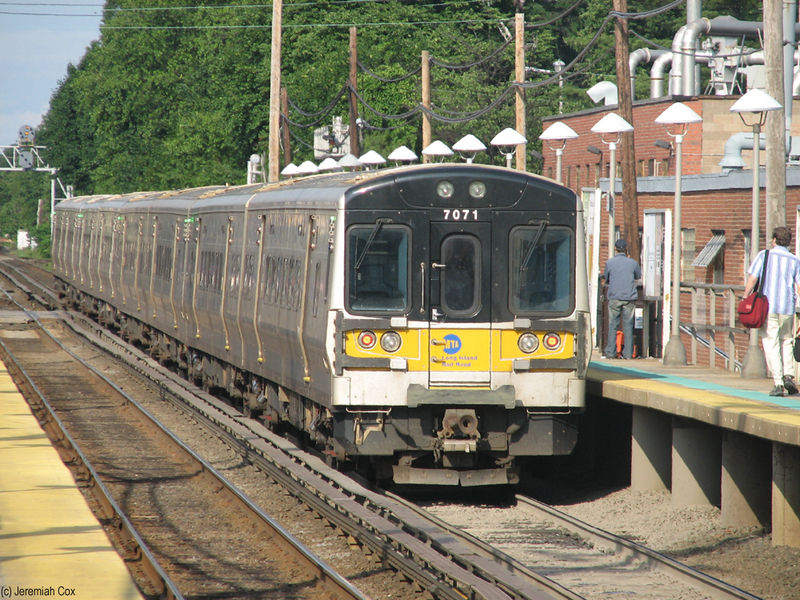 M7 #7071 at New Hyde Park with passengers disembarking. 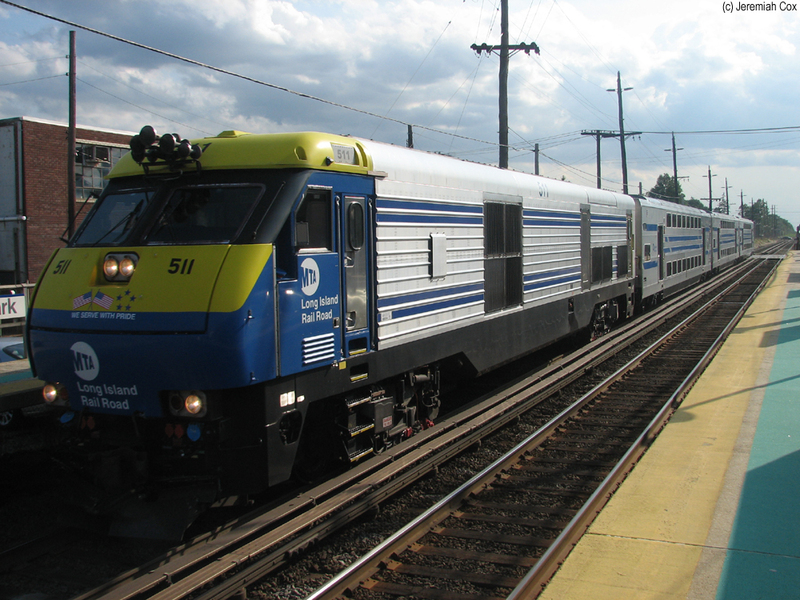 M7 #7071 finally leaves New Hyde Park to continue its journey to Ronkonkoma. 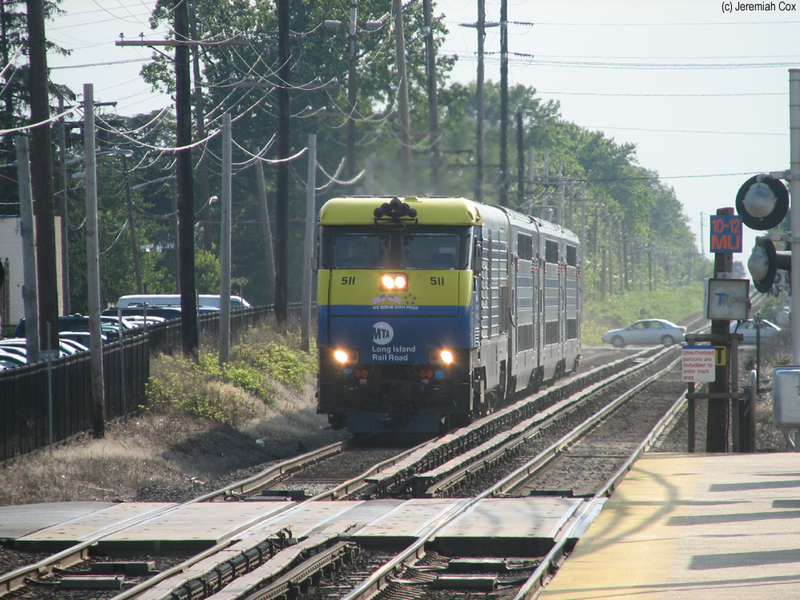 DM30AC #511 and a three car train for Oyster Bay approach New Hyde Park. 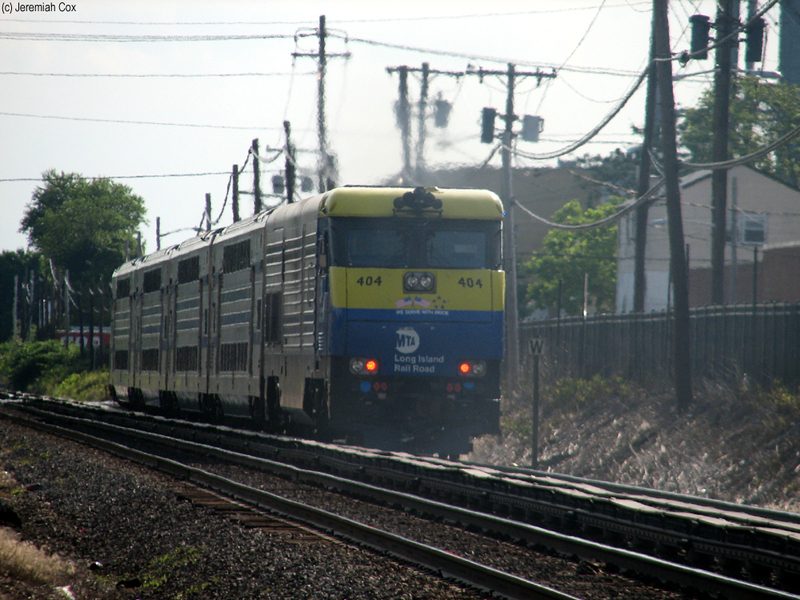 DM30AC #511 runs through New Hyde Park. 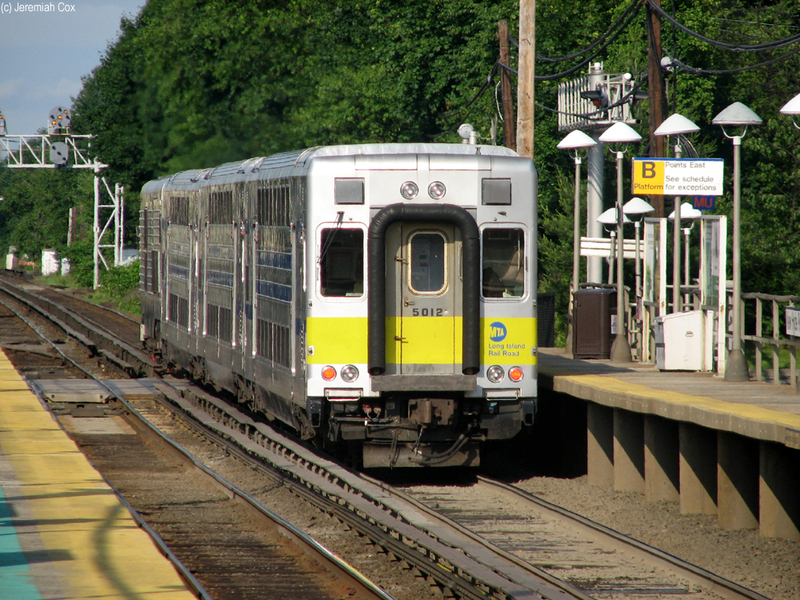 C3 Cab-Car #5012 at the back of a three car train for Oyster Bay running through New Hyde Park. 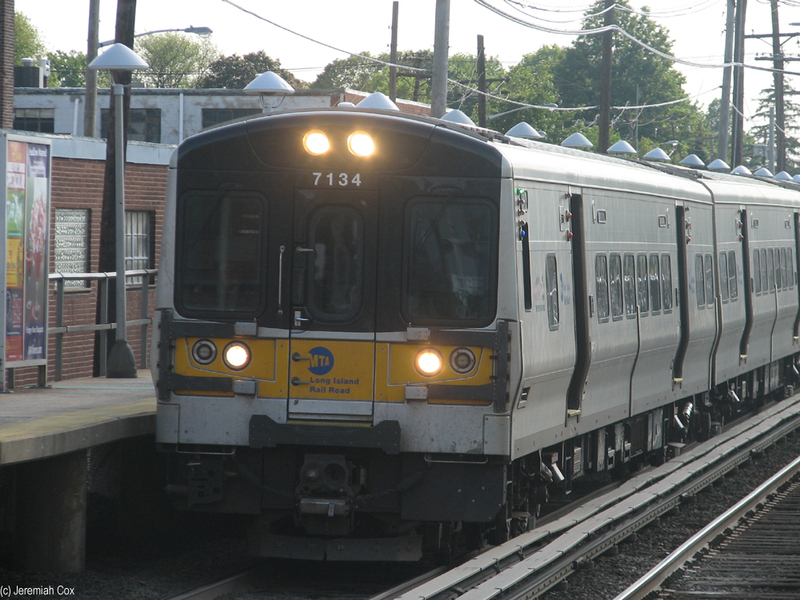 C3 Cab-Car #5012 has screamed through New Hyde Park to continue its trip to Oyster Bay.